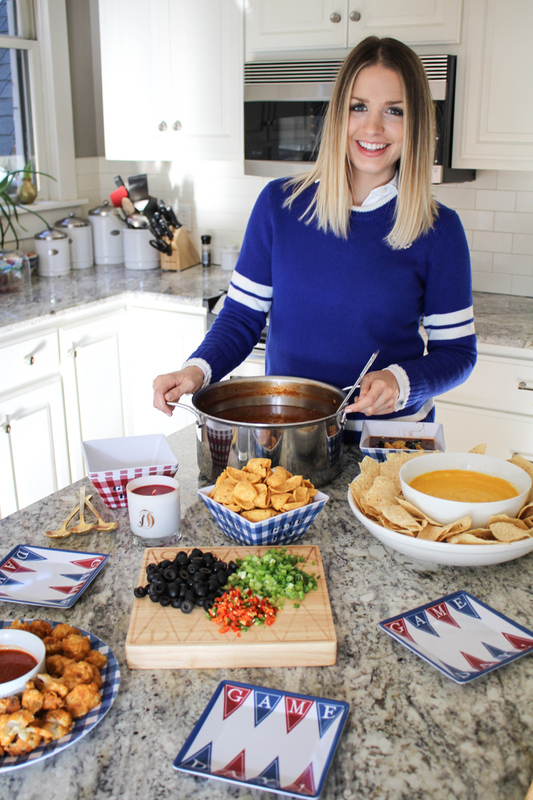 If your idea of tailgate grub is dip with endless chips, buffalo wings, and bowls overflowing with chili, then you and Bailey Rae have a lot in common. 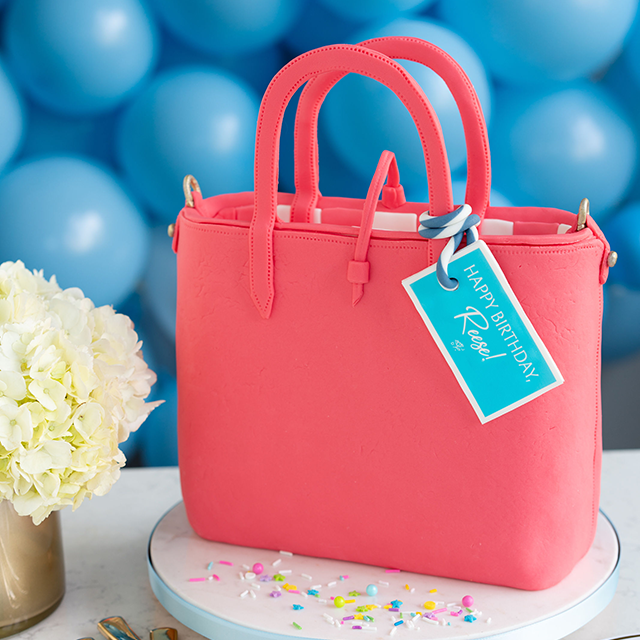 The only difference between her menu and your usual one, perhaps, is that hers is entirely meat and dairy free. 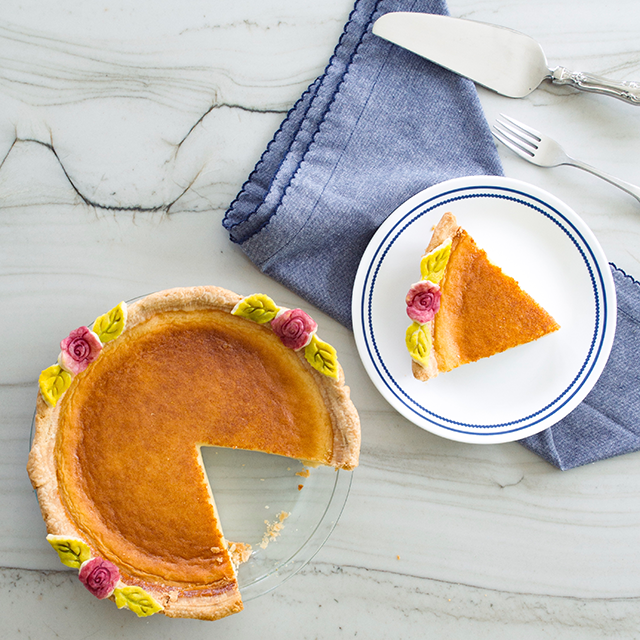 Bailey is the food writer, recipe developer and blogger behind The Local Vegan, where she promotes a healthy, veggie-loving lifestyle. (See our previous profile of her here.) 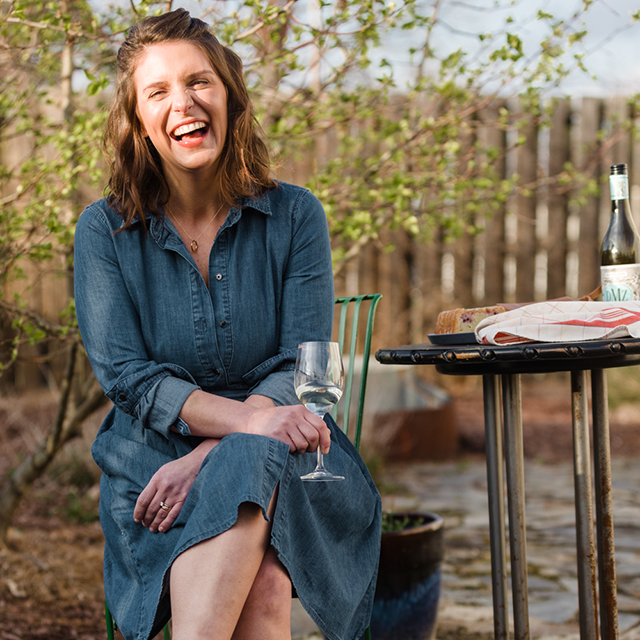 Raised on a farm in Iowa and now residing in Nashville, she loves a good tailgate as much as we do—and she knows how to put on a good one without abandoning her principles. Read on for more and click for here recipes (and mouthwatering overhead videos) for Eat Your Heart Out Vegan Queso, Buffalo Cauliflower Wings, and Chipotle Stout Chili. 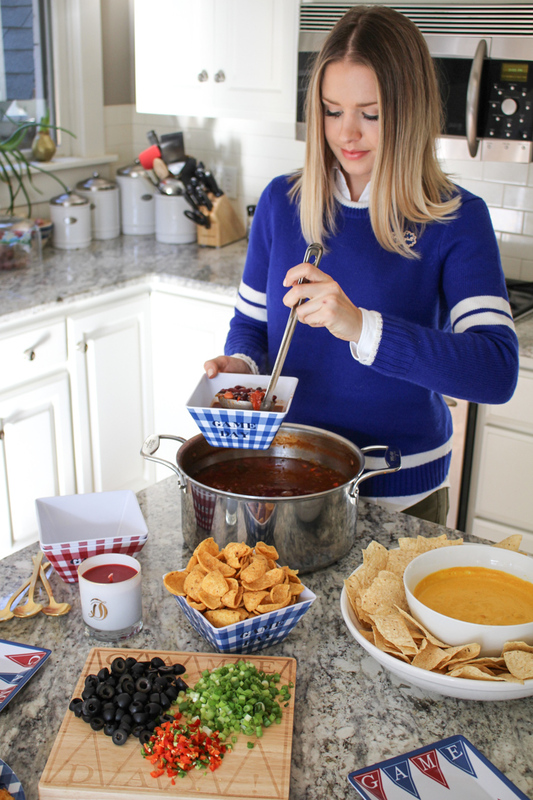 “Tailgate food is the kind of food you really only make when a game is on,” says Bailey. “You graze all day. 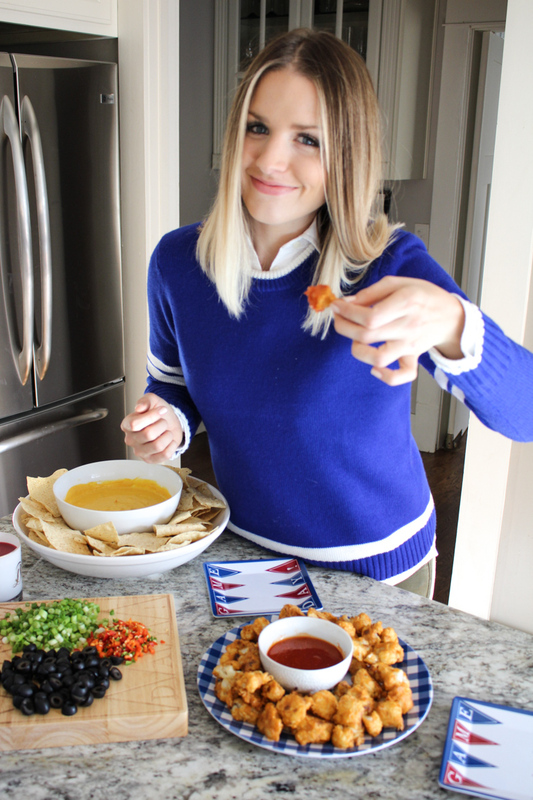 It’s indulgent and delicious.” Bailey served her Buffalo Cauliflower Wings on our Tailgate Plate Set and invited her guests to help themselves using our Game Day Snack Plates. 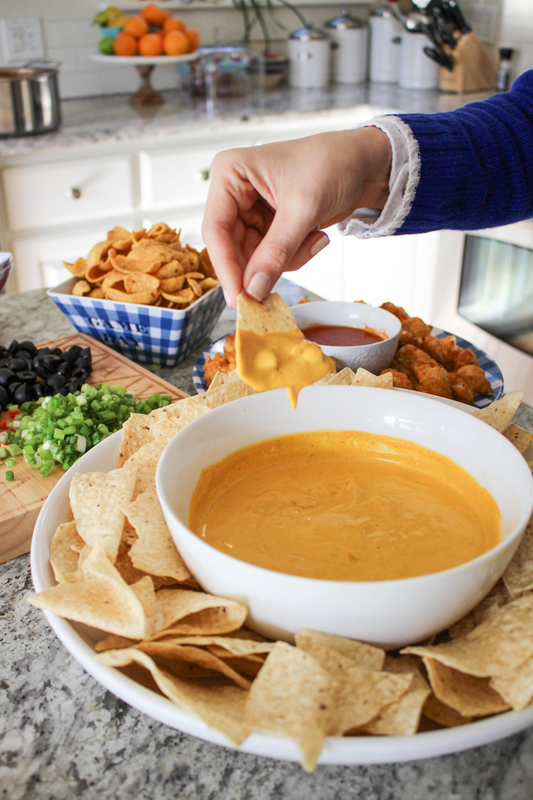 “When it comes to tailgate food, people want delicious dips and fried goodness,” says Bailey. “I lighten-up traditional tailgate food, so you can eat your heart out all day without feeling guilty the next.” This menu of Eat Your Heart Out Vegan Queso, Buffalo Cauliflower Wings, and Chipotle Stout Chili certainly fits the bill.